BREXIT Polls at 55% – Will the Euro Crash & Burn? We provided this chart in our BREXIT Report which says it all. For all the scare mongering how Britain will be worse off if it leaves the EU, this chart demonstrates how the politicians are lying. 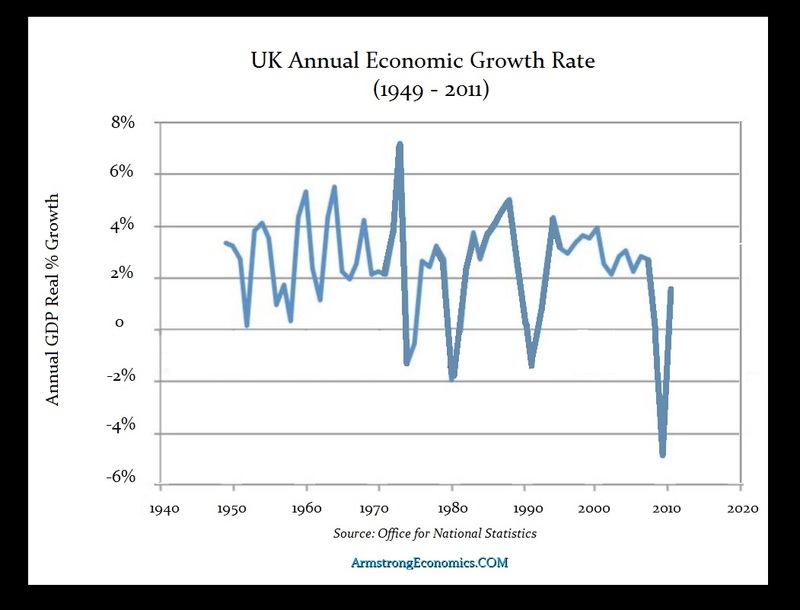 Britain has seen only declining economic growth since it joined the EU and these are the British government’s own numbers. Caution will be necessary. If Britain leaves and they cannot cover up that much against the EU, then the pound will survive and the Euro will witness a contagion begin as other states will be driven to hold referendums. What nobody wants to talk about in the press is how Merkel’s decision to let in the refugees was unilateral. She has fought for the federalization of Europe, but went and made a decides that binds everyone. Girls are being raped in Sweden and Germany. This whole this is a real crisis. Calling those against it racists just demonstrates how abusive these politicians are to defend their mistakes. The refugees are not a race, it is a religion.